South Korea is the undiscovered gem of the far east, with food, k-culture, and mountainous scenery that you will never forget! Our discovery trip begins in Seoul, where we explore regal palaces, bustling downtown neighborhoods, and have fun at the theatre. 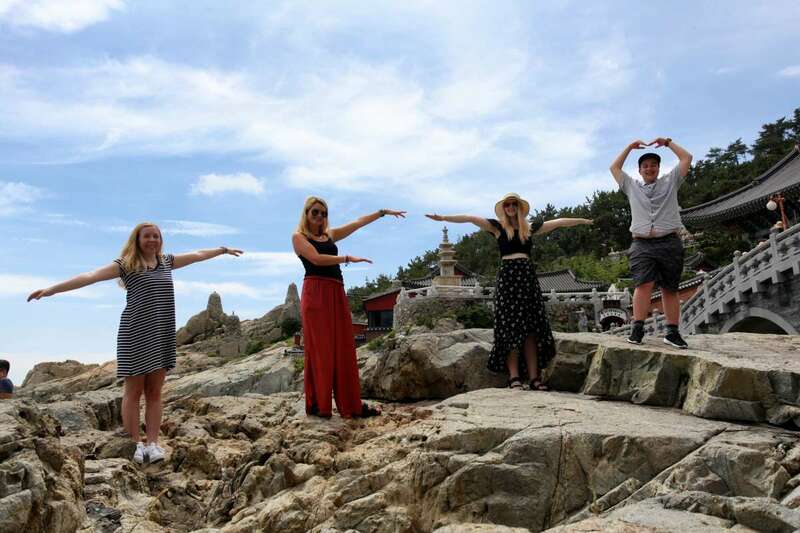 We then tour Korea’s modern port city of Busan, visit the ancient capital city of Gyeongju, and explore the rural beauty of Korea’s South Jeolla Province. Our final destination is Jeju Island, recently listed as one of the new Seven Natural Wonders of the World. After a couple of days exploring this island paradise, we will go back to Seoul to k-party it up with some k-pop hologram shows and a meal at the N-Seoul Tower. 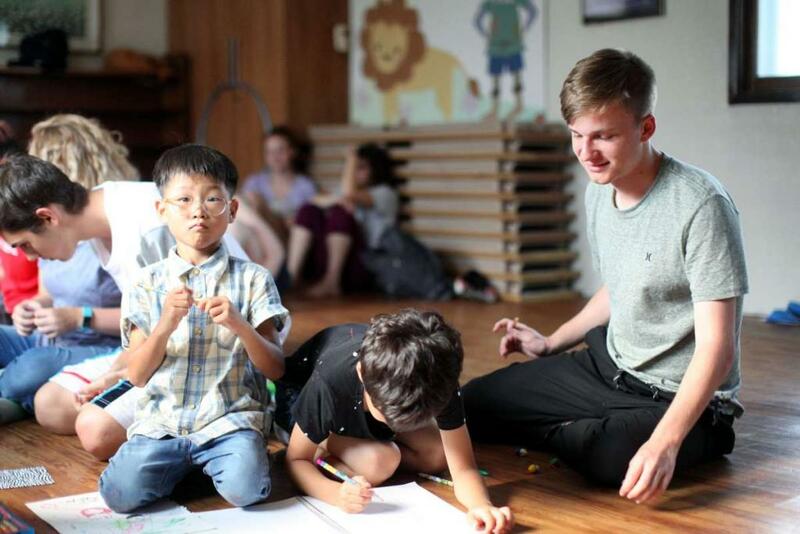 You’ll also have the opportunity to gain community service hours in a rewarding experience at one of South Korea’s orphanages, an enriching experience for both you and the people you’ll meet there. This program is perfect for any teen looking to gain a global perspective while discovering one of the world’s most fascinating cultures. Dance Gangnam Style at our awesome K-Pop dance class! 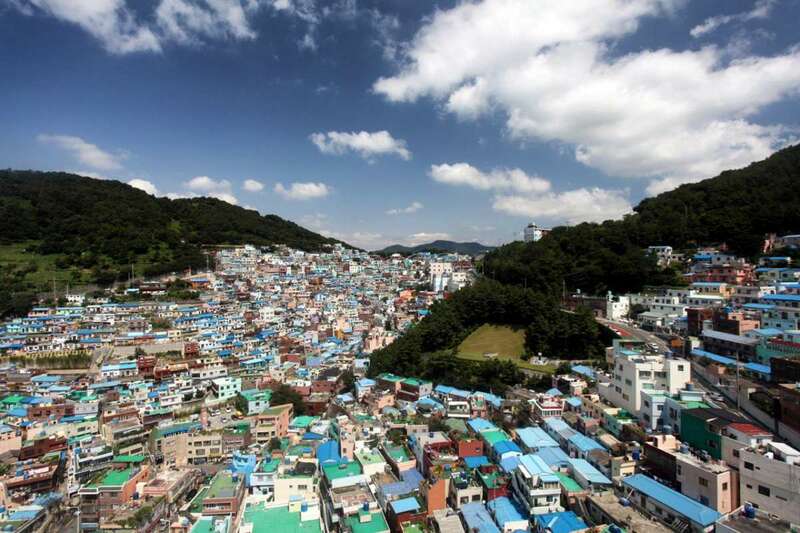 Our adventure begins in Busan, a vibrant port and home to the famous Busan International Film Festival. This is a coastal city blessed with some excellent beaches; it also has mountains, temples, and some of the tallest residential buildings in the world! 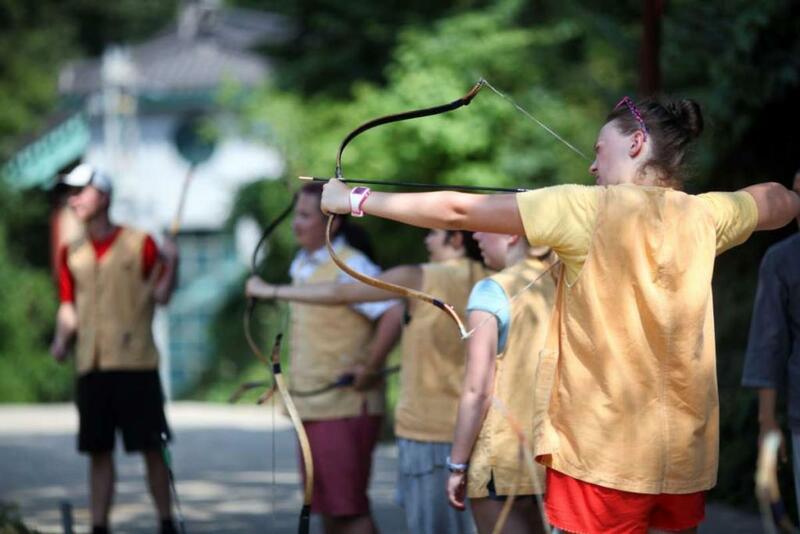 You’ll discover the Gamcheon Cultural Village, which is where many South Koreans fled to during the Korean War. 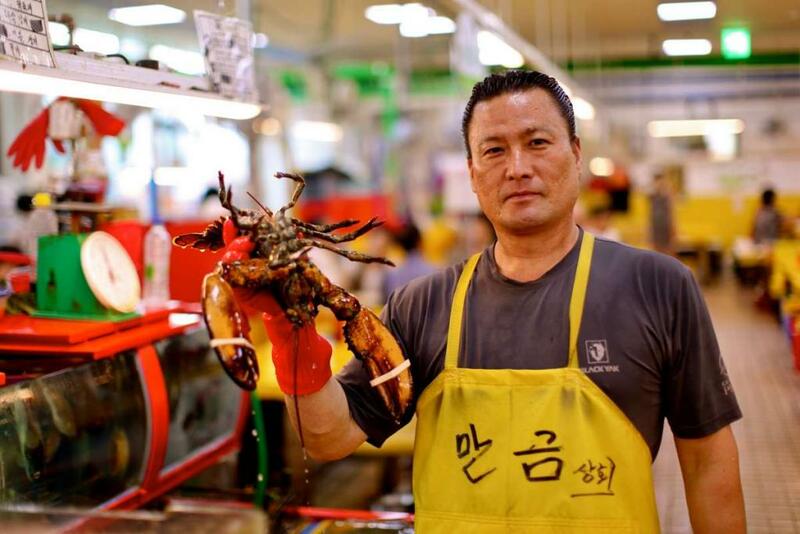 Then it’s back to downtown Busan to see the famous Jagalchi Fish Market…are you brave enough to try some of the seafood there? Oh, and did we mention the beach? Haeundae is the most famous beach in South Korea and possibly one of the busiest beaches in the world, attracting up to a million people on its busiest days, and you’ll get to be one of them! We’ll learn how to make kimchi and bibimbap at our very own cooking class. Those who want to can shop ‘til they drop at the Shinsegae Shopping Mall, or you can try out one of Korea’s largest spas at Spa Land. 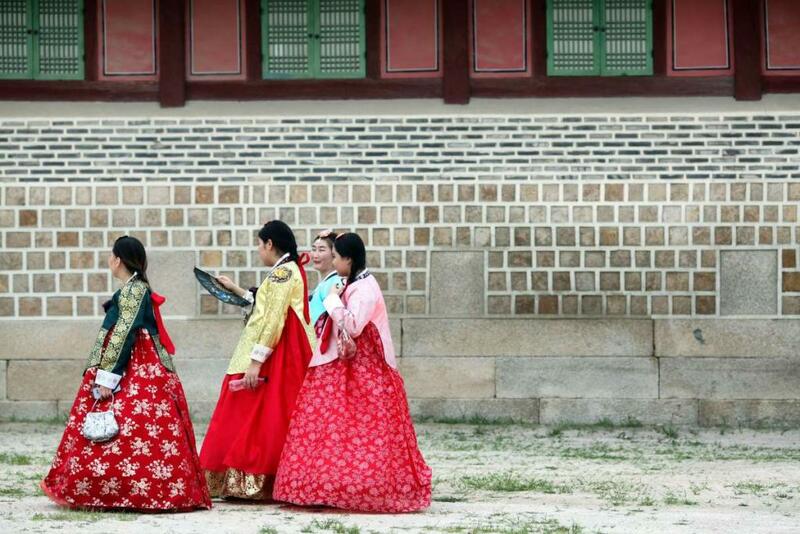 The Silla Dynasty capital of South Korea, Gyeongju is the cultural heart of the country. There are many temples, summer gardens, and royal burial tombs to explore in this laidback town. 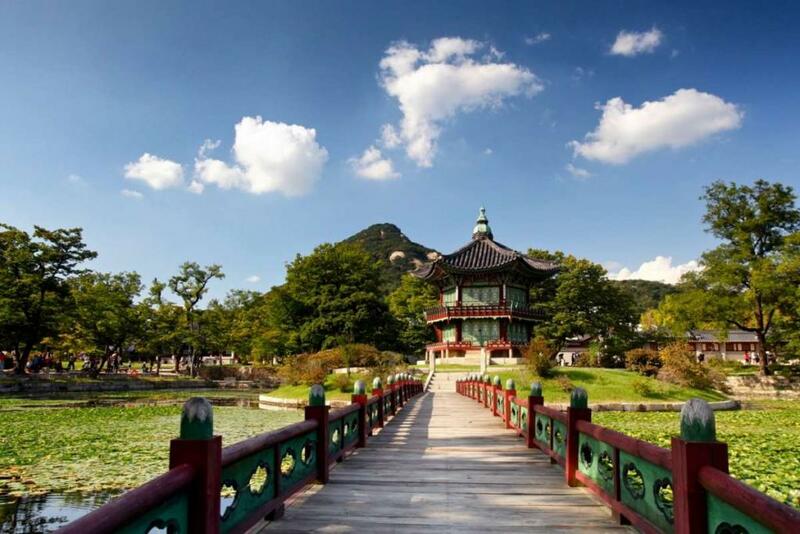 We will arrive in the morning so that we can make the most of our time by taking a walk through Tumuli Park, which has many burial mounds of kings, followed by seeing royalty’s summer playground, the Anapji Ponds. 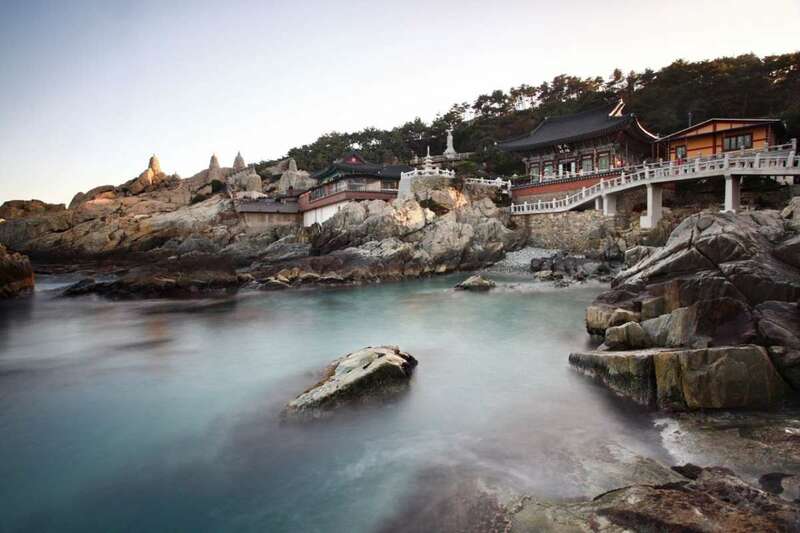 In the afternoon, we’ll leave the town and head to our mountain retreat, Golgulsa Temple, for a truly one of a kind experience. 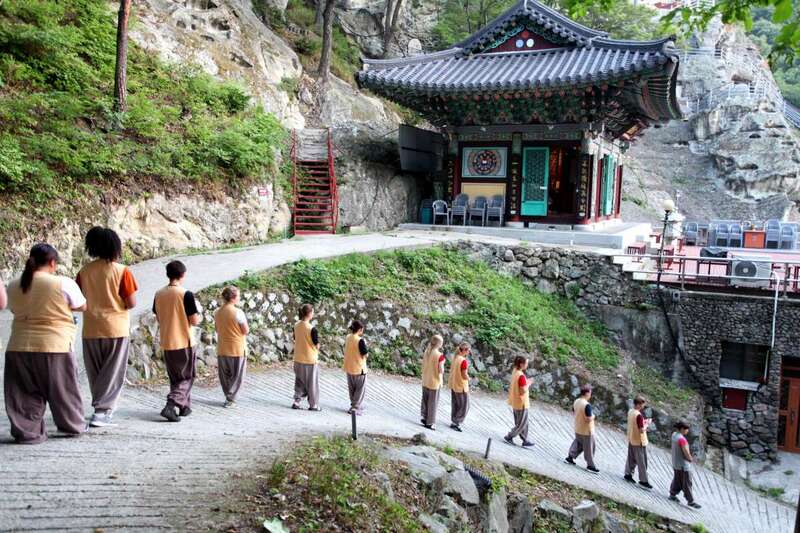 At Golgulsa, you’ll learn about the Buddhist martial art of Sunmudo, which is a form of Taekwondo. 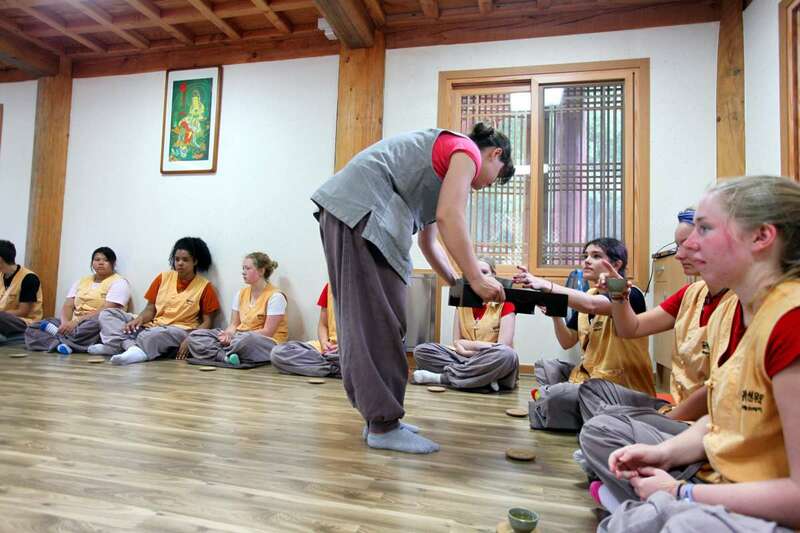 Golgulsa is also where you’ll stay the night, waking up at dawn to pray with the monks and you will even have the chance to take part in a fascination breakfast ceremony before enjoying a tea ceremony with the head monk of the temple! Suncheon, which is in Korea’s South Jeolla Province, is a typical rural South Korean town. This is the location of our service work, where we will help at a Korean orphanage. The work you’ll do here will be very rewarding, and the orphans will never forget their time spent with you. In the evening you’ll see one of Korea’s most iconic landscapes, the sweeping s-curve of Suncheon Bay as it meanders out to sea. Many South Koreans will also tell you that the best food in South Korea can be found in South Jeolla, so we’ll be putting that to the test by sampling BBQ duck, BBQ beef, and Kimchi dumplings. 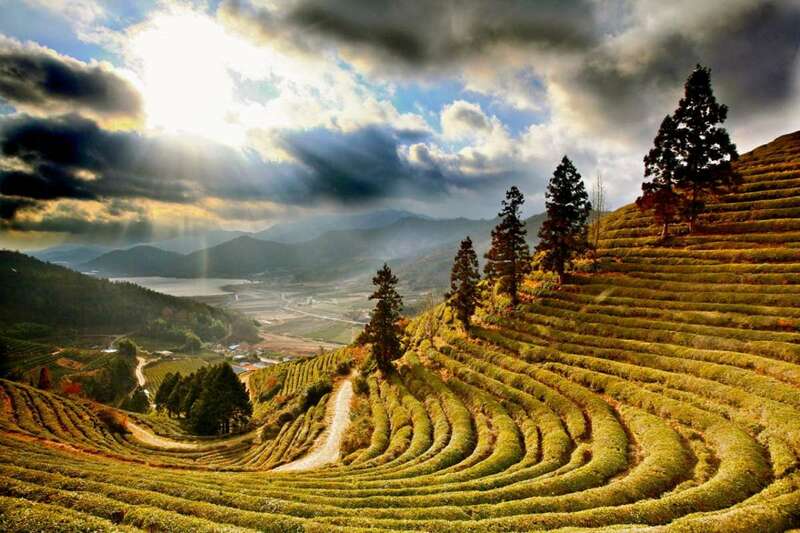 On our final day in Suncheon, day you’ll go on a roadtrip to take in more of the stunning landscapes as we travel through the sweeping tea fields at Boseon before heading to the bamboo forest at Damyang. Jeju is Korea’s “honeymoon island,” and often described as Korea’s Hawaii, though Jeju’s volcano is no longer active. The geology of the island is formed from its volcanic past, which has resulted in some breathtaking vistas throughout the island. Here you’ll see folk villages with acrobatic farm dancing shows, majestic waterfalls that fall into the ocean, and hexagonal shaped cliffsides formed from old volcanic eruptions. 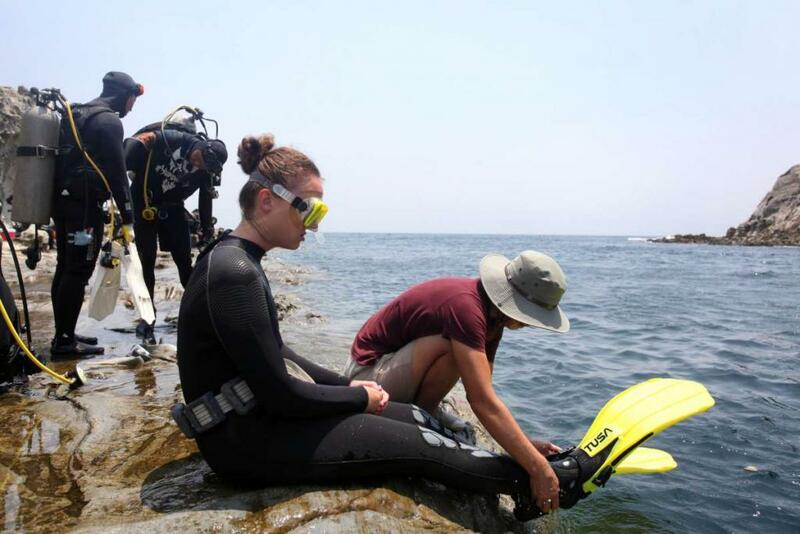 One of the most famous things about Jeju are the haenyeo, female divers who scour the ocean for their living. You can also see Jeju’s underwater paradise by trying either scuba diving or taking a submarine trip to the sea floor. 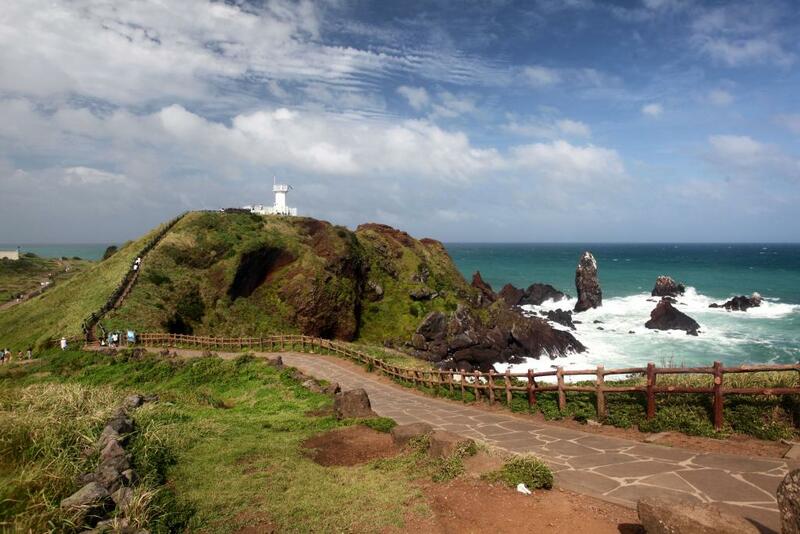 If you love the outdoors, then Jeju is for you! Enjoy this wonderful outdoor lifestyle by going hiking or trying one of the beaches dotted around the island. Now it’s time for one last party, and Seoul won’t disappoint! You can take your pick from world-famous amusement parks, shopping, fine dining at Seoul Tower, and of course, a k-pop music show! The land of the morning calm, you say? More like the land that never sleeps! Sleep is for the plane ride home, as you’ll want to squeeze every last drop of fun out of your stay in South Korea before you say farewell! Our trip will wrap up in this world-class capital city, which offers you a trip to the past through its many palaces and also into its space-age future with culture from its k-pop stars to its spaceship-like Dongdaemun Design Plaza. Most people know about Korea as a result of its noisy north, and you can even step into North Korea during the trip to the DMZ, albeit by only a few feet. In the evening we’ll have fun watching a performance by Nanta that will surely make you hungry for the many delicious Korean foods such as Bibimbap, Mangdu, and Bulgolgi. Have the chance to dance Gangnam Style in a K-Pop dance class. 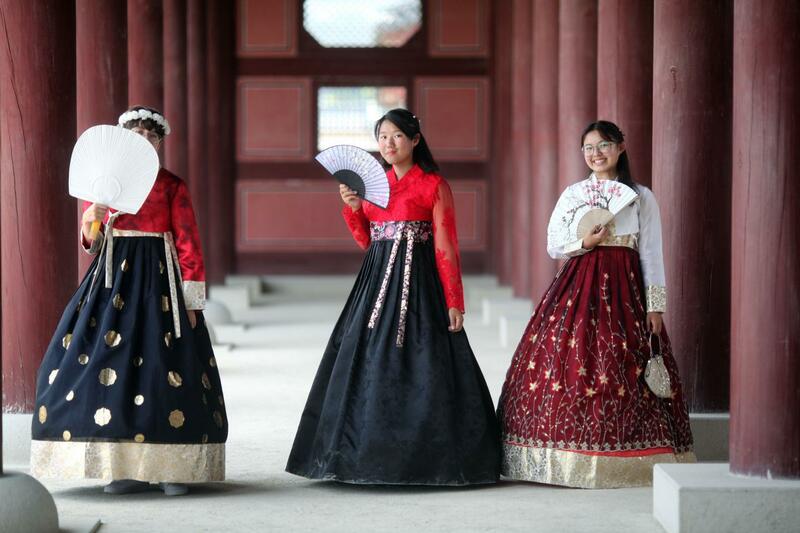 We’ll even visit the beautiful Gyeongbokgung Palace, with its pavilion roofs, pagoda gardens, and opportunities to dress up in Hanbok to take memorable photos in front of the picturesque scenery. In Seoul we’ll stay in the vibrant Insadong District, with easy access to the center of Seoul and lots of good eating options nearby. 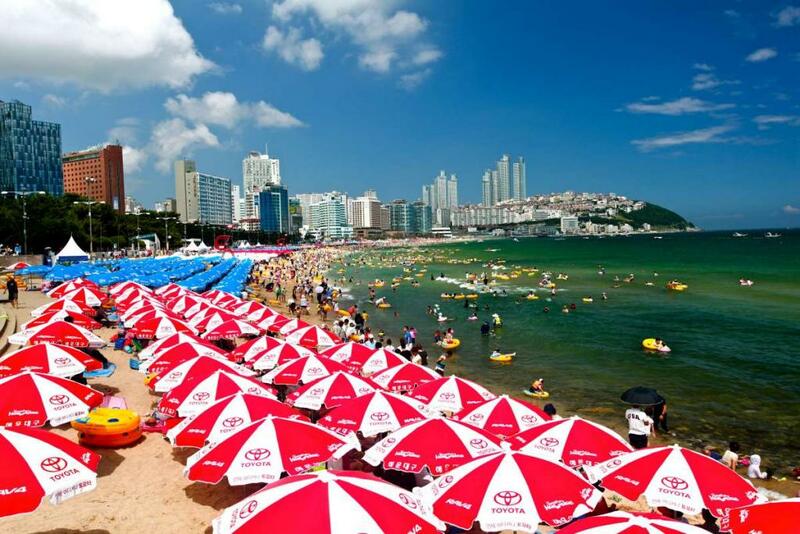 In Busan we’ll stay in the Haeundae Beach District of town, close to some of the places we visit, and with easy access to public transport to those areas farther away. 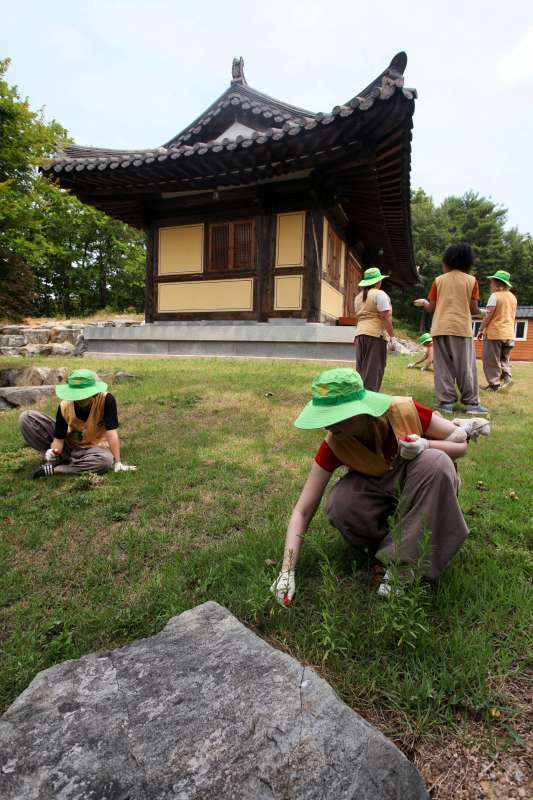 In Gyeongju we’ll make a nearby temple our home for the night. In Suncheon we’ll stay near the center of town, with everything within easy walking distance from the hostel. On Jeju we’ll stay at a guesthouse in Seogwipo. 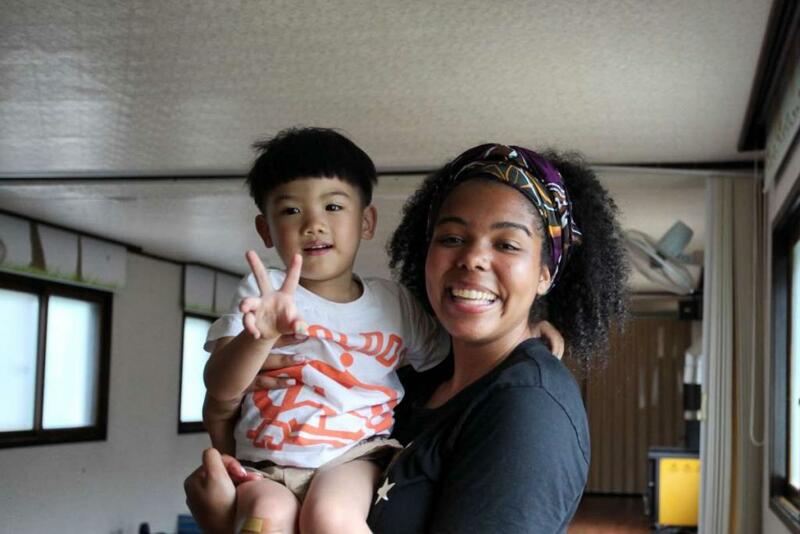 Students love to see Asian culture and cuisine, as well as how life contrasts to their life back home. They love seeing the traditional buildings and watching the martial arts performed in this country. Students are also attracted to this program for the community service with young children. 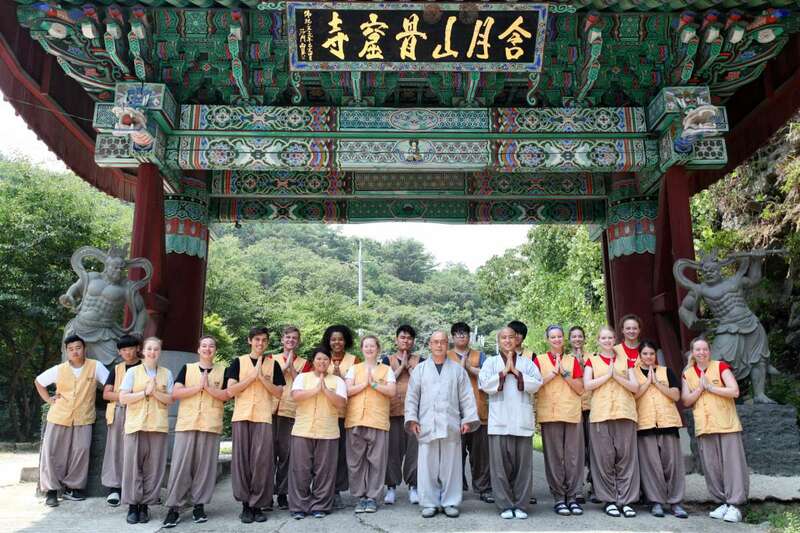 The chance to experience the real life of a Buddhist monk at one of the temples in South Korea and train alongside them. The chance to make a difference in the lives of orphans. Watching farm dance performances and learning to cook Korean food are just some of the highlights of this trip to South Korea. In South Korea there are lots of food options for meat and seafood eaters to try, as well as for vegetarians. Korean food is famous for its pork and beef BBQs. There are many kinds of soup: the rice-based Bibimbap, different varieties of Mangdu (dumplings), Korean pancakes (Jun), Kimchi, and many more. You’ll go to the towns that are famous for particular dishes. There are also districts in the bigger cities that cater for a more international taste, so there is also the opportunity to mix it up. Last but not least, we will try some traditional Korean desserts for those of who you have a sweet tooth. Due to the nature of our service work outdoors, please be sure to bring a water bottle, a hat, as well as clothes that you don’t mind getting dirty. 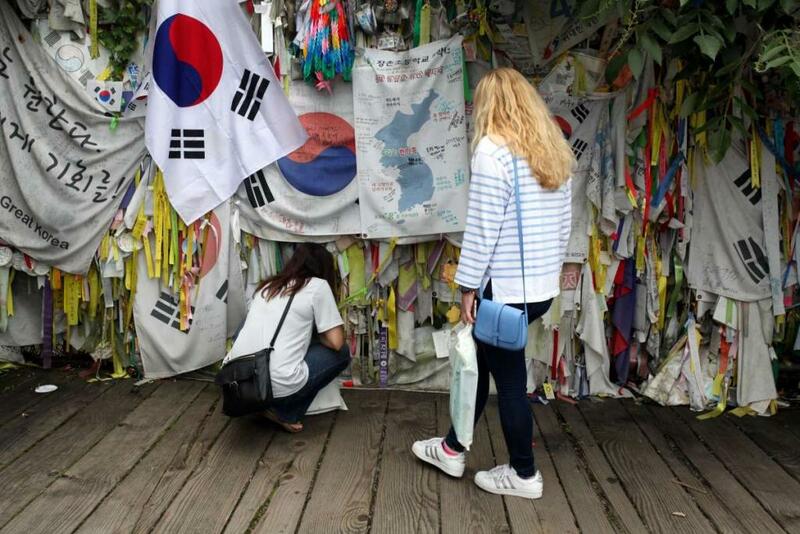 Any US citizen that enters South Korea is automatically granted a free 90-day tourist visa. "This trip was truly amazing in so many ways. 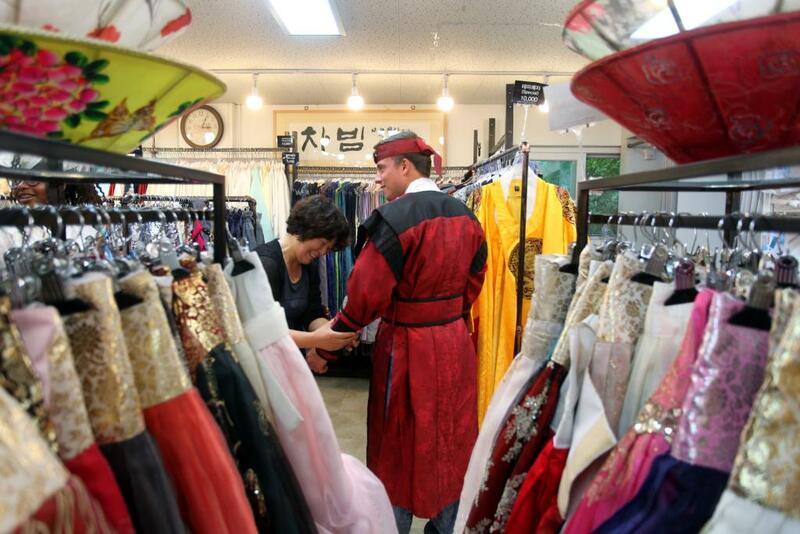 Not only is Korea amazing in itself, but the staff are very fun, helpful, and knowledgeable. 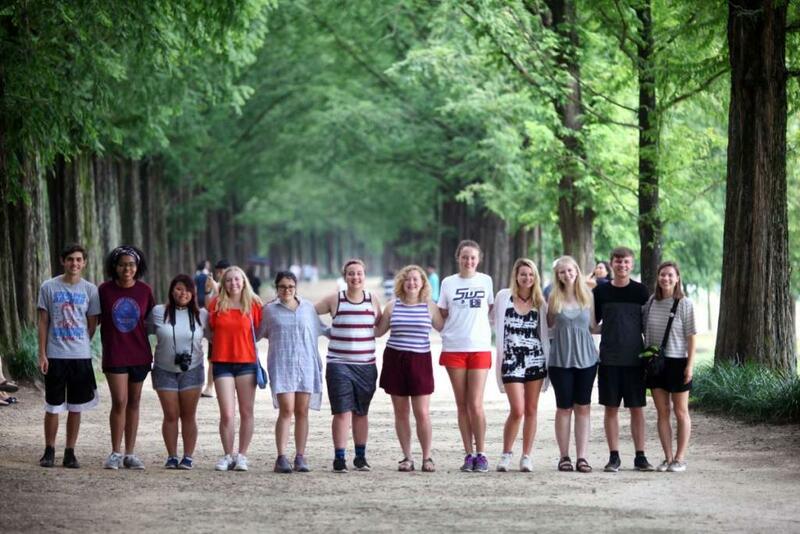 When I went, the group only had 11 travelers, so we all got to know each other really well. It felt like one big family, adventuring across the beaches, snacking on new flavors (be it spicy, fruity, stinky, or sweet--my favorites), shopping along the streets, and drinking in the Korean culture. Warning: it's hot and humid in the summer, but it's really worth it. It was a completely unique and diverse experience that has everything from historic temples to modern cities to rocky sea views to relaxing spas. I had so much fun and really felt immersed!" "Thank you, thank you and thank you!!! We love receiving the daily updates and photos. We are so impressed with TFT and the counselors. This has been a dream for Jaelyn to return to Korea, to see her birth country and learn about the culture. We could not have picked a better organization to travel with. She is very happy to be there and we are glad to see her taking advantage of every opportunity... by the photos. Thank you so very much. We feel like we are traveling with her with all the wonderful photos!!"